ASTM/ASME B209/SB209 Aluminium Alloy 5052 Sheets and Plates, ASTM B209 Aluminium Alloy 5052 H32, ASME SB 209 Aluminium Alloy 5052 H32 Sheets Plates Manufacturer, Exporters, Suppliers, Mumbai, India. ASTM/ASME B209/SB209 Aluminium Alloy 5052 Sheets and Plates is one of the higher strength non-heat-treatable alloys. It has a high fatigue strength and excellent corrosion resistance, particularly in marine atmospheres. The formability of the grade is excellent and in the annealed condition it offers higher strengths than 1100 or 3003 grades. One of the most popular alloys. 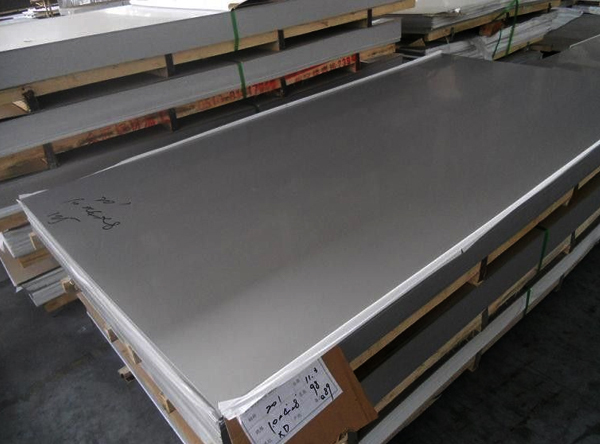 ASTM/ASME B209/SB209 Aluminium Alloy 5052 Sheets and Plates is a non-heat-treatable 2½% magnesium, 0.25% chromium alloy commonly available in flat rolled coil, sheet and plate from a wide range of producing mills. Like all the 5000-series high magnesium alloys 5052 has a fairly high strength and is hardenable to a significant degree by cold working, enabling a series of “H” tempers. Alloy 5052 is also produced as a treadplate (also known as chequer plate) with mainly industrial applications.